Lovelyz holds off going to the toilet for fans. Girl next door charm gives fans heartache. South Korean girl group Lovelyz with 8 members Baby Soul, Jiae, Jisoo, Mijoo, Kei, JIN, Sujeong and Yein. A group with visuals and also singing and dancing abilities like they swallowed a CD, they quickly became popular in the music industry. On stage, they showed their cuteness with various acts but in fact, they are even more charming in their everyday lives. 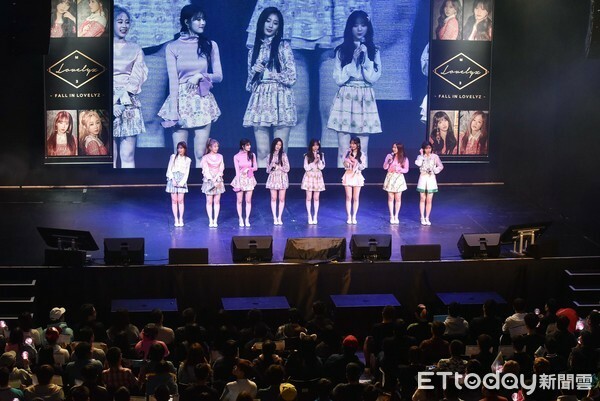 In November 2017, Lovelyz held a fan meeting. On the day before the fan meeting they held an interview with the media. Before it even started, the girls rushed out quickly and started introducing themselves loudly with their sweet smiles which melted the audience. ▲ Seeing Kei's charming aegyo live, instantly mesmerized. Even though Lovelyz are short and cute but they don't have a complex. When asked how much they eat, a few of the girls did not hold back at all and answered confidently "One person can eat a chicken each". Not thinking of themselves as celebrities at all, we could feel how sincere they were. After the interview, a staff mentioned to Kei, "I watched Weekly Idol and thought you were really cute." Kei was surprised to hear it and went up and gave the female reporter a big hug, saying "Thank you!" This fan service was so sudden that the female reporter became flustered. At that point, everyone's eyes were on Kei's expression, from the surprise to the sweet smile at the end. ▲ Lovelyz members are like the girl next door in their everyday lives. That's right! All 8 members of Lovelyz are just as cute in their private lives. I heard from one of the staff all the girls and easy to talk with, just like a girl next door. They always come up to other people first to say hi and chat. Sometimes they even try to learn Chinese. For example, this time in Taiwan they wanted to go shopping and see all the snacks and different products on the shelves. So they would try to learn from us word by word. They are very approachable. ▲▼ In 2017 Lovelyz held a fan meeting in Taiwan, with many interactions between fans. For their visit to Taiwan, the girls specially prepared a close interaction with their fans, the same way fan meetings are held in Korea where fans are allowed to give gifts and chat with them. In order to get closer to their fans, they used all kinds of hand motions and even tried their best to speak Chinese as well as English. They also used help from nearby Taiwanese staff to make sure they could understand their fans properly. Half way through the fan meeting, Yein really needed to go to the toilet but held on until the fan meet was over then quickly ran to the toilet. Seeing how sincere she was put a smile on the face of the staff. ▲ Lovelyz members' personality are very approachable, which helped the staff get comfortable with them easily. After the fansign has finished, the 8 girls quickly left for the airport. Due to close to 100 fans waiting at the airport, security escorted them through customs. While being escorted, Mijoo suddenly started holding a security's hand and started singing "Hand in hand", like a kid on a field trip, all the way to the second floor. They are just like a girl next door, easily approachable. Before the girls left customs, they didn't forget to thank all the staff for their hard work, asking them "When will you visit Korea next?'. They also expressed they would like to come back to Taiwan for a concert if there is a chance. 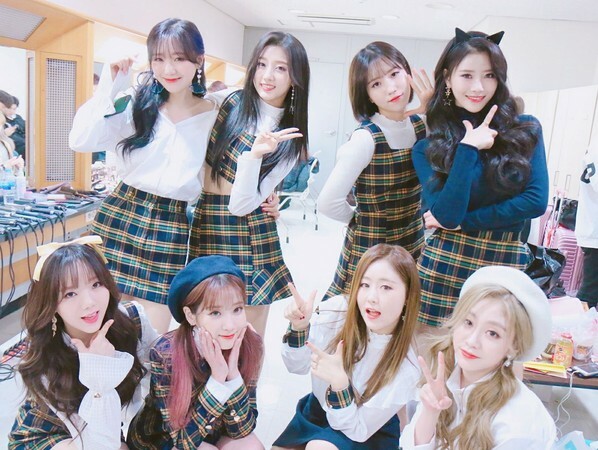 It has been 3 years since Lovelyz debut now but they are still cute and sincere, not only do they always think of their fans, they also received many, many compliments from the staff they worked with, their unique charm has left a lasting impression on all of us. Kei's Go-To Beverage During Mealtime Is...?